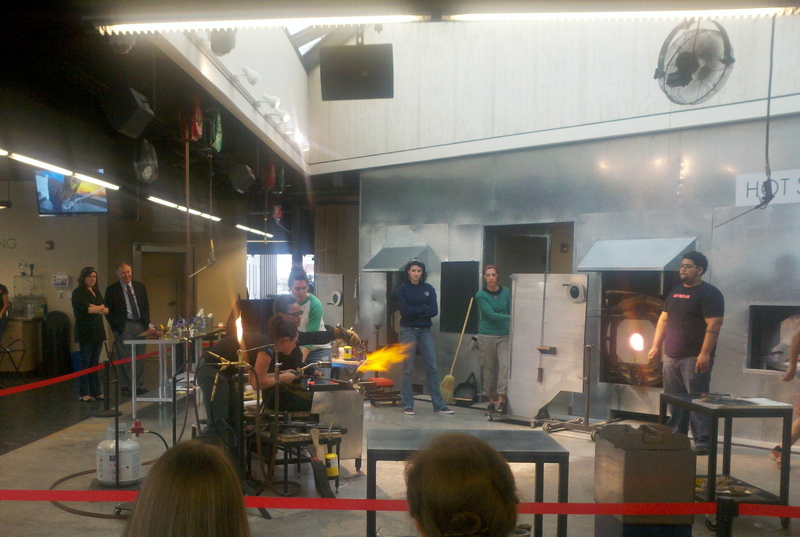 Sunday my husband and I went to the Chrysler Museum’s new glass studio to watch a world-class glass artist, Debora Moore, perform her art. It takes several people and precise timing to help the artist "build" an orchid. We’ve been meaning to go since it opened and finally found an opportunity yesterday. It was an amazing experience watching her and her helpers compose one of her orchids. We’ve been members of the Chrysler Museum of Art in Norfolk since we moved here three and a half years ago. Joining was one of the first things we did, because an investment in the arts has always been important to us. When we lived in San Antonio, we were members of the McNay Art Museum, another amazing institution. Many museums across the country are struggling in this difficult economy. What surprised me is that, in spite of these economic times, the Chrysler decided to stop charging admission, except for its visiting shows, about a year ago. They wanted more people to be able to enjoy the art. When I was a teacher in San Antonio, I took my students on field trips to the McNay. There was no admission charge and Southwest Bell picked up the cost of the buses which made it possible to take these trips. I can’t tell you how many students were in awe of the artwork because they had never been in an art museum before. They couldn’t wait to tell their parents and bring their parents back to the museum so they could show them what had made them so excited. I had grown up going to art museums in New York with my father, so it was incomprehensible to me that so many youngsters had never had the experience of visiting one. How many of you have art museums in your communities or in communities near you that you’ve been meaning to get to but just haven’t made the time? When was the last time you took your children? If you don’t have any children or they are grown, how many of you know children in your neighborhood who’ve never been on the inside of one of these museums? Maybe you could borrow a kid and introduce him or her to an amazing treasure. If you haven’t been in awhile, maybe you need to put it on your list of important things to do. Art is inspiring, invigorating, soothing, a salve for the soul, but for many it’s just an afterthought. Do yourself a favor and move that thought to the forefront. You’ll wonder why you waited so long! This entry was posted in Just Blogging and tagged art, Chrysler Museum of Art, Education, learning, life, McNay Art Museum, museum, opinion, personal. Bookmark the permalink. The McNay Art Museum is beautiful, elegant… What amazing glassworks, Debora Moore perfects the colors and forms of glass orchids! So true that people just don’t make time and effort to visit their local art museums. I need to join the membership like you have to support them. Thanks for the reminder! We love the McNay, Amy. My husband was actually their security manager there for five years. We always went to every opening. Unfortunately, we left about a year or two after the big edition, so we didn’t get to enjoy it as much as we would have liked. If our family did all live in the north and northeast, I’d move back to San Antonio in a heart beat. What a GREAT idea to expose a child to art. When I lived in Phoenix, the Phoenix Art Museum was right in my back yard. I had the opportunity to see Van Gogh’s work, but never again. The price of admission is staggering. I think more freebie programs might result in a resurgence of arts support (and new young artists). People are still supporting venues philanthropically – even if they have less to give. I LOVE your idea of “borrowing a child” to expose her to art. The glass work is incredible! Thanks for sharing. Thanks, Melissa. Museums are caught between a rock and a hard place. They want more people to attend so they can remain open, so many of them are dropping their fees altogether or are having a freebie day once a week. But then they aren’t getting the revenue they need, so they have to charge. Even though the Chrysler doesn’t charge, we still pay for a membership just to be supporters. It does get us into special exhibits. Too bad your museum has made attendance out of reach for so many. Art shouldn’t be for just the rich. I enjoy museums too. Sounds like you had a nice time. We did, DF, and living only four hours from DC means we have access to many museums there as well. Yes. That’s nice. We are close enough to NYC to take advantage of their museums. They are wonderful! Love NYC, DF. Sounds like we both live in great locations! Neat post. We went to an artisans show here in Cville last month. Besides some fascinating artists and sculptors there were glass blowers who made some intricate lamps right before our eyes. We will definitely check out the Chysler. Yes, Al, I’ve heard Charlottesville is a town with a strong artists’ community. We’ve never really spent any time there. With funding cut for arts education programs in schools, these opportunities are particularly valuable. Looks like a very cool glass blowing studio. Yes, Bella, if the public doesn’t support them, they will disappear. We have several small but excellent museums in San Diego. I don’t go as often as I like, but I always feel inspired when I do. Thanks for the reminder to make it a priority. San Diego is such a beautiful city, Shary. My brother lived there (actually, El Cajon) for ten years when he was curator of mammals at the San Diego Zoo, and we visited him there. Living in San Diego when our daughters were growing up we designated each Sunday as Museum Day. San Diego has Balboa Park which is a bit of Heaven here on earth. Every Tuesday Balboa Park has Museum Tuesdays where a different group each week is free to locals. We took advantage of that often. On vacations we allowed the girls to pick two places to visit but a museum had to be one of their picks. We all loved it, as they grew they were amazed that the young men they dated had never been to museums, theater or symphony. What a shame. We have yet to be involved here in our new city, shame on us. Love visiting our daughter in D.C. though and taking advantage of the wealth that is our nations’ capital. I was afraid when I read the title of your post that you may have found something lurking underneath your hardwoods… so thrilled it was about the arts. Love your post, Susan! I totally agree. I have always supported museums, theater, music. Since moving to Maine I get to the Portland Museum of Art as often as I can – one great delight has been being a subscriber to the Portland (ME) Symphony Orchestra – a world class orchestra in a small city. I also began many years ago to collect handmade coffee mugs. I have an out of control collection. I then moved up to place settings of dishes made by a real potter. I realized when I moved that I had 12 place settings including 2 from Ireland and 1 from the Netherlands. I boxed up my store bought dishes before the move and dropped them off at Goodwill. Support the arts with your heart and your purse ~ they are the true representation of who we are as a people and a nation (skip the front page version). I love that Portland Museum, Carol. My girlfriends and I took a trip up there for Op Sail 2000 and they were having a Wyeth exhibit at the time. Wonderful! I also have handmade pottery, ten place settings. Just got notice that the potter was closing his shop in San Antonio this month because of the economic times. I won’t be able to get anymore. What a great way to spend your day. Glass blowing is so cool to watch. There was an amazing restaurant in West Chester, Pa called Simon Pearce that had live glass blowing. They sadly closed last year. It was a wonderful place to experience local artists and great food. I have been making it a point to visit local attractions. We live in Philadelphia and are surrounded by so much to keep us busy. Great post! Hey, LWTTD, did we ever talk about the fact that we used to live in West Chester on Goshen Road? Our youngest child was born in Bryn Mawr. Yes, you did mention you spent time here in PA. I must say you were in a action that remains very beautiful, including Bryn Mawr. We will always have fond memories of that area, Life. Wow! The orchids are beautiful. I “learned” to make swans in a glass-blowing class years ago. Most of them look like some type of genetic mutant. The best thing about glass-blowing is that your mind must be empty of everything else; it’s like a form of meditation. I always hoped to set up a studio, just for the meditative benefits. 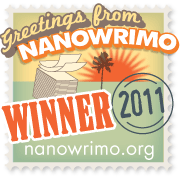 Alas that hope went by the wayside. I have many opportunities to visit art museums. I don’t take advantage as much as I should. Wow, Adela. Even mutant swans is quite an accomplishment. I always wanted to try pottery for the same reason. Oh you know you’re preaching to the choir here. In Detroit I was amazed to see Diego Rivera’s murals dedicated to the people of Detroit depicting various industries…the car industry, different races of people working side by side and so amazing vaccinations back in 1933! It impressed me that a Mexican artist was chosen to complete these for the “Garden Court.” Last year I caught the Cleopatra exhibit in Cincinnati. Whenever I visit a city, there’s a museum to visit. Even in Kerrville, there’s the Cowboy Artists Museum. 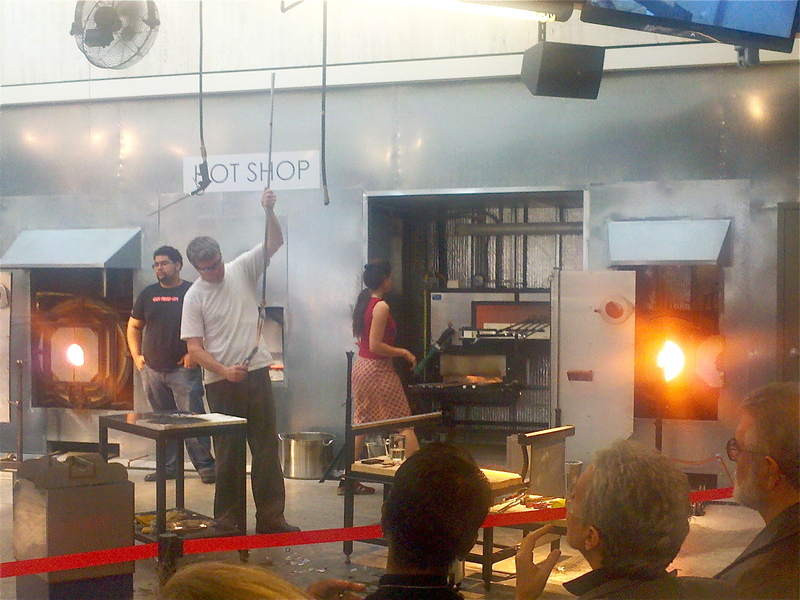 The glass blowing performance/demonstration must have been such a treat! I know your love of art, Georgette. Have you ever been to the glass blowing studio near Wimberly? Exquisite work! And Wimberly is a fun little town to visit. What a shame, Eye. Is there any local theater activity or music venues close by? Galleries for local artists? We’ve been lucky because wherever we’ve lived, we’ve had access to so many cultural sites. Eye, I read recently that Google has or is going to have a site that gigs you access to a huge collection of art from museums around the world. Do an Internet search for Google art project, and I bet you’ll be able to find out more about it. Let me know what you find out, Eye.